With a name like the Canaries, you just have to go see them. Actually, I did see the Canaries in Wichita last year, but of course that was not on their home turf. 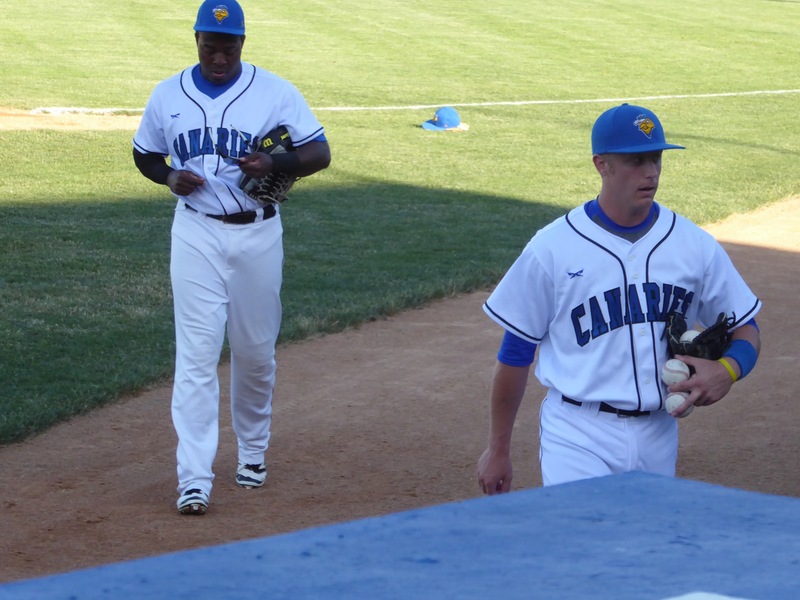 The Canaries play at Sioux Falls Stadium, better known as the Bird Cage, and play in the American Independent League, which is not affiliated with major-league baseball. Unlike the Wichita stadium, the Bird Cage has natural turf. In this game, the Birds, as they are affectionately called, faced the Gary South Shore Railcats, looking for a sweep of a four game series. Unfortunately, they were a bit short-sighted, losing 6-5 in 11 innings. There wasn’t much about the game, the stadium or anything else to set this game apart from others. Both starting pitchers were lefties, throwing in the mid-80’s. 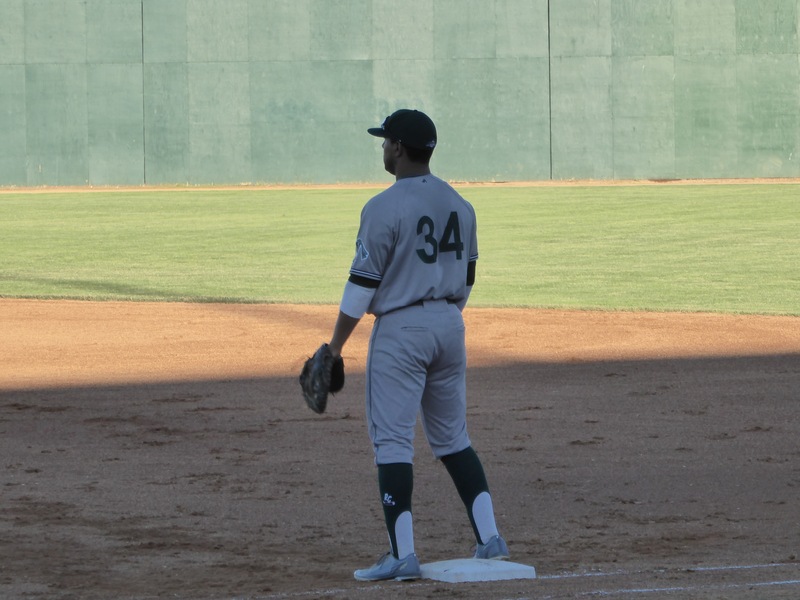 The Birds all wore long pants, the Railcats all wore high pants, some even with stirrups. A ways south of Sioux Falls, there was a billboard that read “Eat steaks, wear furs, keep your guns. The American Way”. (You can’t make this up!). So naturally, when I got to the ball park, since they weren’t serving steak, I had to break with baseball tradition and have a burger, the only beef product available. Actually, a cheeseburger. The burger itself was apparently cooked sometime last week and had been residing on a shelf ever since. It was topped with a slice of rubber cheese taken directly from the fridge and slapped into a (at least) day-old bun. It was, quite simply, terrible. The worst ballpark food I’ve ever had. The only saving grace was that they had my favorite Leinenkugel Summer Shandy, so there was something pleasant to wash it down with. This may be my last baseball post of this trip, since there is no professional baseball scheduled anywhere along my route to PDX. I’ll look for some amateur action or a rodeo or something, but don’t hold your breath.